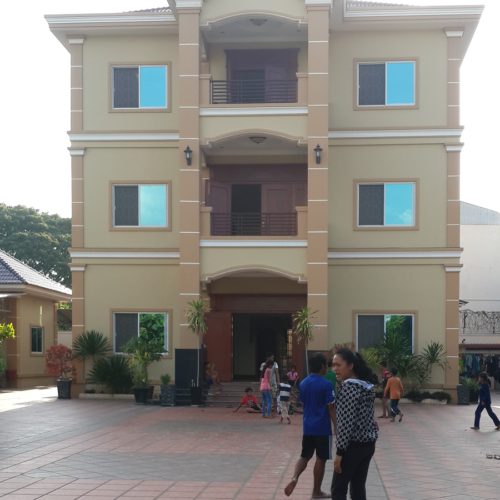 Upon our return from Cambodia in January of 2015, we learned that the land on which the Lighthouse Orphanage that we had just visited for 2 weeks and supported for several years had been sold. The kids there were given 6 weeks to find a new home. We were heartbroken as we had come to love these children. Emails we received told us how frightened the children were. They had no money and wondered where they would go. Three HFSV volunteers went back and the very first morning we were there found a wonderful house to rent which would become the new Hope House. In Phnom Penh, a city of over 2 million people, surely the hand of God was directing our steps. Although the government is now requiring us to move so as to have separate buildings for boys and girls, we trust that God will continue to guide our steps. With the wonderful staff we have acquired in the past year, we go forward in confidence assisting these precious but disadvantaged children gain viable and productive futures.